For nearly 50 years, Montalvin has proven to be a true ambassador of Italian wine culture throughout Quebec. 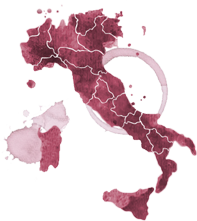 The agency ensures the development and promotion of fine Italian wines to Quebecers of all regions. Discover our interactive map for our Producers and our Wines ! The new vintage 2018 of San Vincenzo is coming! Un good sparkling wine to celebrate Valentine's day by Vin formateur.